A Kitchen Remodel: The Gift That Keeps on Giving! It’s that time of the year again! Aside from planning fun holiday activities and making lists of gifts to buy for family and friends, you might be wondering how to best prepare your home for holiday gatherings. If you’re thinking that your home would really benefit from a few well-chosen home improvements, particularly a kitchen remodel, you might also be wondering just how quickly your local remodeler could get the job done. Here’s more on that topic. A Kitchen Remodel Right Before the Holidays? 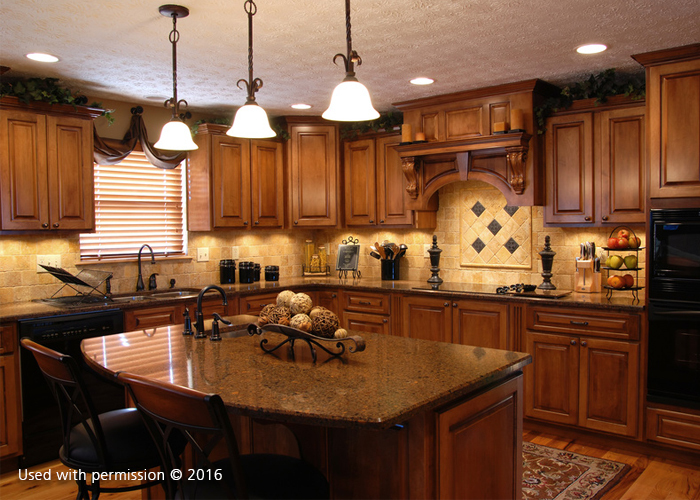 You might think that because DreamMaker Bath & Kitchen of Tyler is an experienced kitchen remodeling company, we’ll certainly give you the green light to start a remodel before the holidays. However, we’re not that kind of company. At DreamMaker, honesty and integrity are among our core values. If you ask us to begin a kitchen remodel at this time of year, the project is very unlikely to be done in time for your holiday celebrations. The reason is that the remodeling process involves many steps, including a detailed design process, the ordering of materials from multiple suppliers and the coordination of many craftsmen. Rushing these steps only threatens the quality of your project — and the investment you’re making in your home. That is something we never recommend. A kitchen remodel is a gift that will keep on giving every day of the year. It makes sense to take your time and not rush this important project. If you want your kitchen remodel to be a success, make sure you work with a full-service design/build company that can take care of your needs from start to finish. Call DreamMaker Bath & Kitchen of Tyler today at (903) 253-0165 or submit our online form to schedule a consultation with our design expert.